On Tuesday, Oct. 30, at approximately 2:30 pm, officers from the Indiana State Police and the Washington County Sheriff’s Department responded to the report of a personal injury crash involving two motorcycles and a car on U.S.
Just before 1 a.m. on Oct. 10, Ashley N. Bowman called the Washington County Sheriff’s Department, afraid she was being followed home from work in Louisville and the people were trying to kill her. 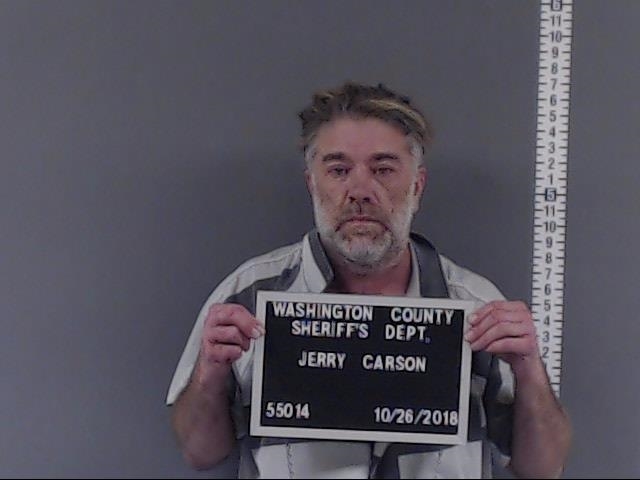 Just after 3:15 p.m. on Saturday, Oct. 27, Walmart APA John Rouston called to report a man he had located inside the store. Just after 6 p.m. on Wednesday, Oct. 24, Washington County Deputy Tory Hildreth was sent to a home on West Forest View Road after someone called saying a woman was driving a blue Chevrolet S10 pickup struck onto their property and was trying to hit things with it. The chatter around town in the wake of the newly opened death investigation in Wheeler Hollow has been referring to the death of Jacob Ray Dodson, 22, as a murder. This morning at approximately 7:11 a.m., the Washington County Sheriff’s Department received a telephone call about a wrecked truck on Rush Creek Road. The caller advised the dispatch center that nobody was in or around the wrecked truck. This bobcat was recently struck and killed by a driver on State Road 56 East, near Elk Creek Lake. Indiana Conservation Officer Neal Brewington would like to remind everyone that it is currently NOT LEGAL to possess a bobcat.